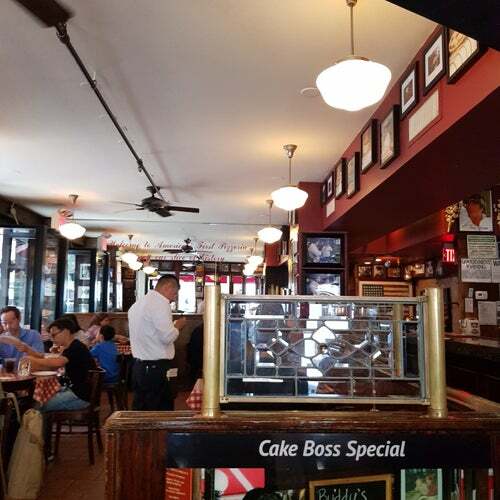 Opened in 1897 at 53 Spring St., just down the street from its present location, Lombardi's is easily one of the city's oldest eateries. Now, since taking over the space next door, the restaurant has almost doubled its former size. And while the original half--with its well-worn booths and open kitchen--easily outcharms the new dining room, the famously long wait has been cut in half, and thanks to the addition of a bar, it's almost a pleasure.